Tankless water heaters use the latest in gas technology to provide an endless supply of hot water. Heating water only when it's needed provides energy savings not found with conventional water heaters (storage tanks). Energy Savings: Save by heating water only when you need it. You can reduce your hot water heating costs by approximately 30%. Please note: approximately 20% of your total heating costs are from you water heater. Comfort: continuous supply of hot water throughout your home. 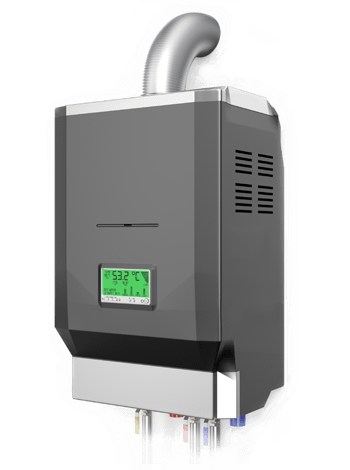 Tankless water heaters heat water on demand so you're not limited by a fixed pre-heated supply as with a conventional tank. Safety: Digital temperature control at the touch of a button can be set to exact user-specified temperatures using a digital controller. Flexibility: A tankless water heater can be placed in virtually any room. Traditional storage tanks can take up to 16 sq. ft. of floor space.